Trying To Be Thoughtful: All Hail Mr. Waller! He was a stride pianist, recording artist, band leader and composer extraordinaire. With Andy Razaf (lyricist), he wrote enduring classics such as Aint Misbehavin', Honeysuckle Rose, Keepin' Out Of Mischief and (What Did I Do To Be So) Black and Blue? He was funny, wild and a consummate musician. Do yourself a favor and check out the links for more of his story - and, most importantly, listen to his music. You'll be glad that you did. 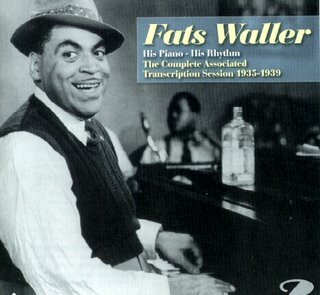 Thomas Wright "Fats" Waller is my all-time favorite pianist. He was a genius in all areas of endeavor. Well ... perhaps not in finance.